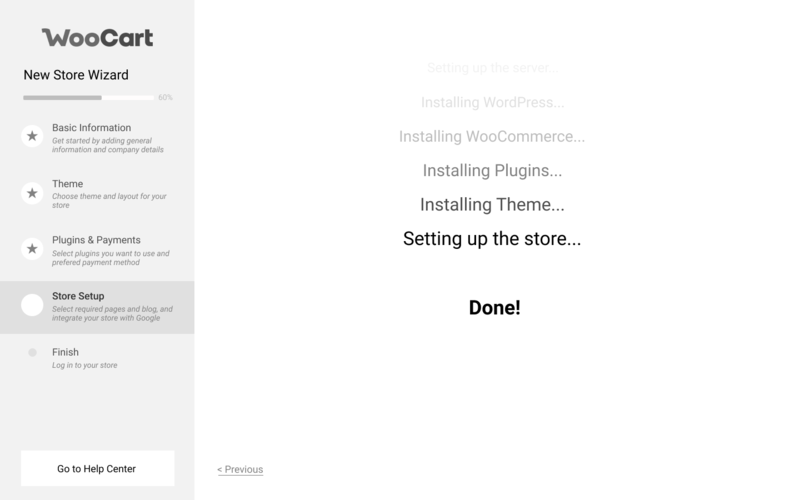 Here’s a sneak peek of Store Wizard that will take building a WooCommerce store from hours to minutes and a few steps. 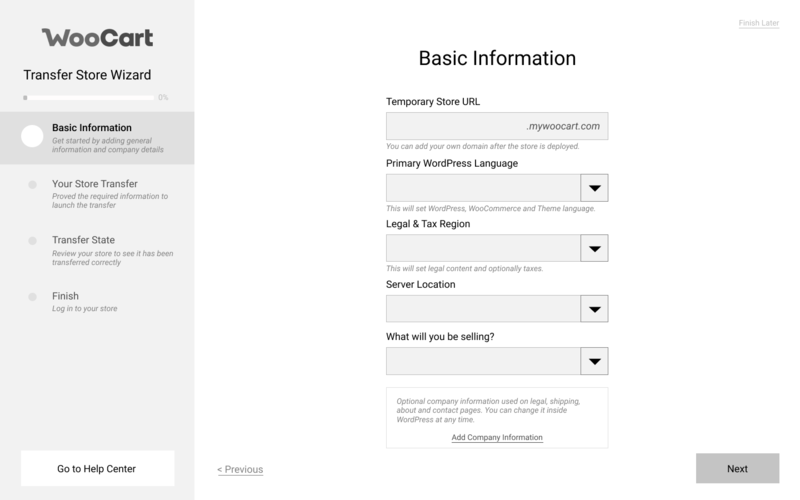 In the first screen, you will add a temporary URL, select WordPress language, Legal & Tax region for legal content and taxes, server location and industry (for adding demo content). 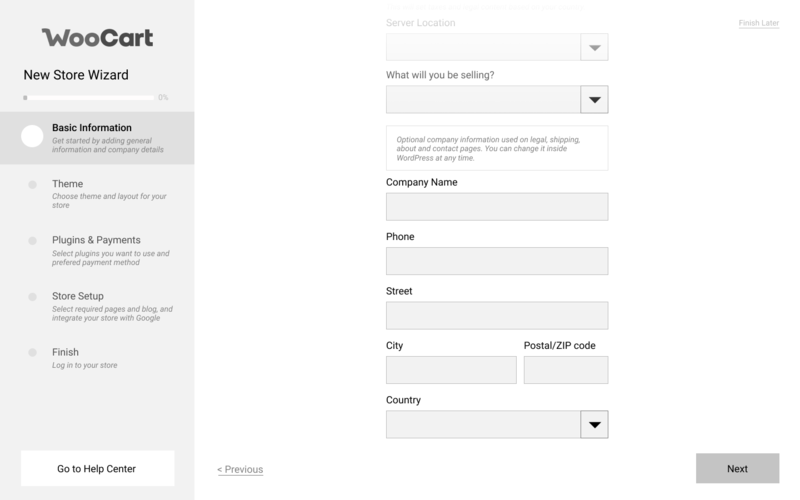 You will be able to add optional company information that is used in contact, shipping, and terms pages. We’ll prepare a small selection of optimized and fast themes that you’ll be able to quickly modify without sacrificing page speed. 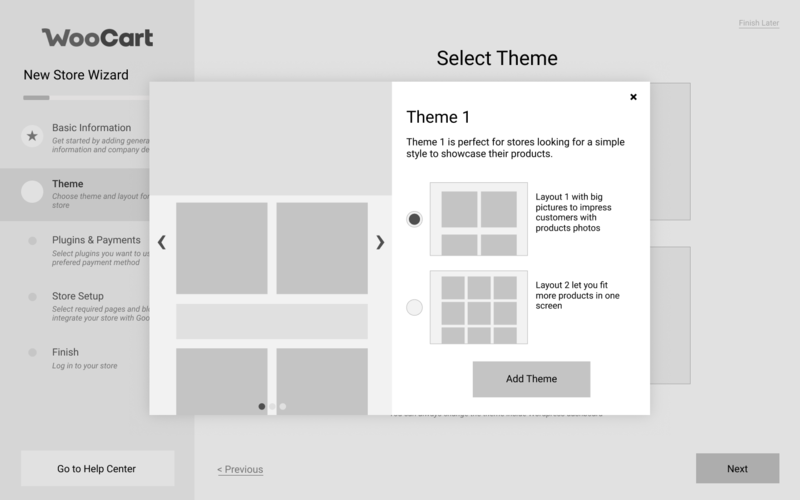 You’ll, of course, be able to install any other theme you’d like. In this view, you’ll be able to preinstall and preconfigure a selection of important plugins, like payments. 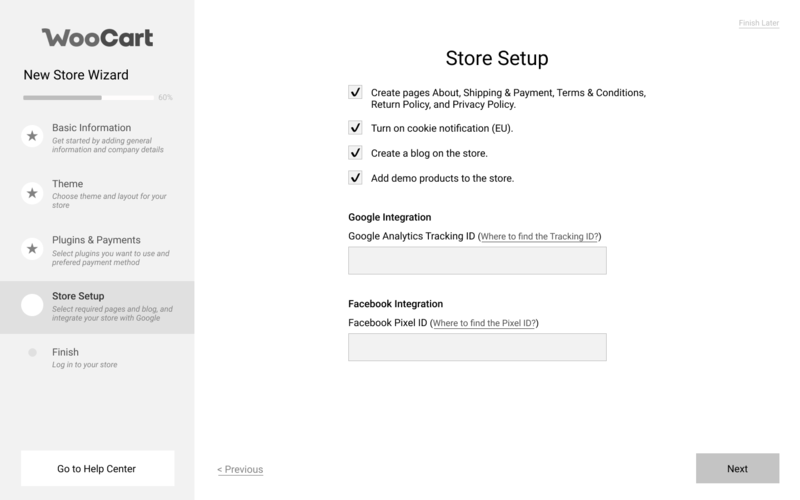 In the final step, you’ll be able to add legal and demo content, and your analytics IDs for quick setup of the basic tracking. 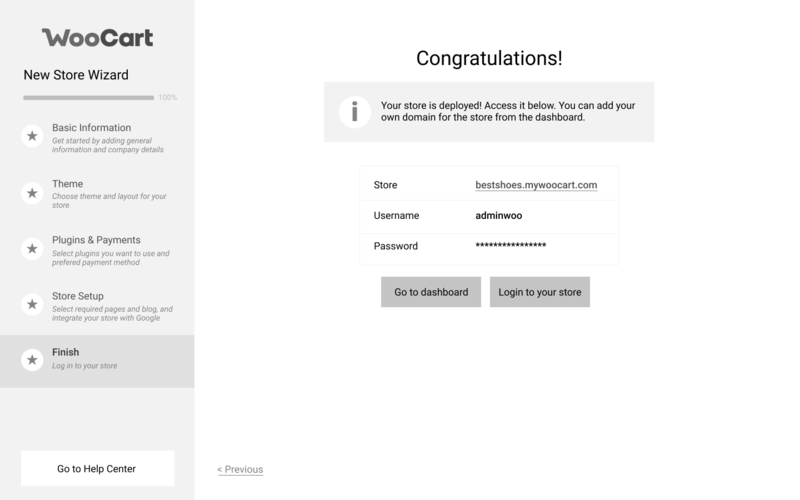 Once the store is deployed, you’ll be able to immediately log in and start working on it. Join the WooCart community and sign up now for our Newsletter! 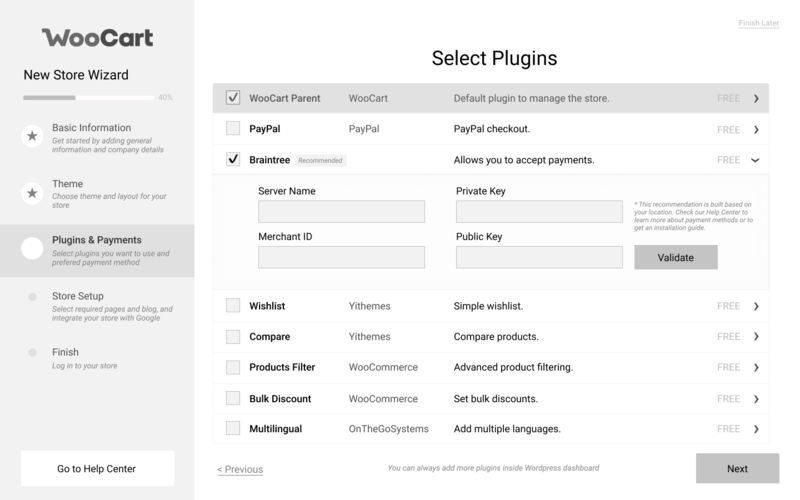 Which paid WooCommerce plugins are you using? WooCart Timeline: Early Adopter Preview Launch planned for 22nd August! Awesome! Can’t wait for it! Keep up the good work guys!